September in Asheville marks the seasonal transition from the heat of summer to the colorful montage of fall, offering what might be the most ideal weather of the entire year. While many nights cool down into the 50s, the days are still warm; providing perfect temperatures for hiking, exploring downtown shops and restaurants, and attending the festive fall events. September is the last full month of the Dale Chihuly Glass Sculptures at the Biltmore Estate. This exhibit, by perhaps the world’s foremost contemporary glass artist, is displayed both inside the Biltmore House and outside in the gardens, the first time ever for an outdoor art exhibit in the gardens. The second weekend in September Asheville celebrates the African-Caribbean vibe with Goombay, a free festival held at Pack Square downtown. Goombay entertainment includes dancing, West African drum beats and live music from multiple genres like gospel, reggae, funk and soul. The festival runs September 7-9 and is free to the public. If you love the tastes and wares of mountain culture, don’t miss the Mountain Life Festival held at the Great Smokey Mountains National Park, September 15. This gathering celebrates the fall harvest near the Mountain Farm Museum, where there will be historical demonstrations on soap-making, apple cider, sorghum molasses, hominy, mountain music and more. The one-day event begins at 10 am, lasts until 4 pm and is free to the public. If craft beers and bluegrass music are more your style, another Saturday 15th option is the Asheville’s annual Brewgrass Festival, which features the brews of over 200 breweries and brewpubs. General admission tickets are available for $45; the event lasts from 1 pm – 6pm. Asheville hosts Western Carolina’s largest LGBTQ pride festival on September 29, at Pack Square from 11 am – 7 pm. The streets will be lined with more than 150 vendors, and two stages will feature regional musicians and other entertainers. The Blue Ridge Pride Festival is a family-friendly, free event that attracts 10,000 attendees each year. Art on Main in Hendersonville, held Saturday and Sunday, the 29th and 30th, offers the opportunity for art lovers to meet and buy from 90 fine artists who specialize in paintings, clay, metal, wood, fiber, jewelry, glass and more. Live demonstrations will be going on from 10 am – 5 pm each day. Hendersonville is a small city (Henderson County has a population of about 115,000) 45 minutes south of Hill House, with a charming downtown and lower home prices and an older, more conservative vibe than Asheville. 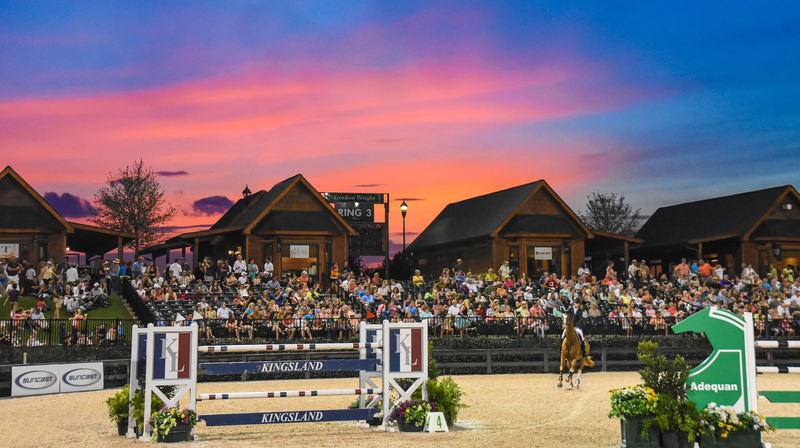 Nearby Tryon, NC, is proud to host the FEI World Equestrian Games from September 11th- 23rd. According to their website, the event is the “major international championship event for the eight core equestrian disciplines of show jumping, dressage and para-equestrian dressage, eventing, driving, endurance, vaulting and reining”. This event has the potential to be the largest sporting event in NC history, with an estimated 500,000 visitors over the week.